Dr. Wissam Al Sahli, graduated from the Royal College of Surgeons in Ireland with Honours degree, in 2002. He then underwent general medical training in Ireland and was granted membership of the Royal College of Physicians in Ireland in 2005. Dr. Wissam completed his sub-speciality training in cardiology in 2005 in Ireland and United Kingdom and was awarded the Esteem Certificate of Completion of Speciality Training(CCST) by the Royal College of Physicians in Ireland in 2011. He is fully trained in invasive and non-invasive cardiology and did his cardiology fellowship training at the Royal Bournemouth Hospital in the United Kingdom which is one of the busiest coronary intervention centres in the United Kingdom. Dr. Wissam has also worked as Consultant Interventional Cardiologist in Ireland and the United Kingdom and was previously associated with St Vincent's University Hospital, in Dublin, Ireland. 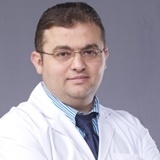 Dr. Wissam Al Sahli, has done more than 5000 coronary angiograms and more than 1500 coronary angioplasty procedures. He is fully trained in complex coronary intervention including rotablation, laser atherectomy, bifurcation, left main stenting, chronic total occlusions and vein graft stenting post CABG. He is fully trained in intra coronary imaging which includes IVUS and OCT, assessing intermediate coronary lesions with the use of pressure wire. He has presented in European interventional meetings and has also participated in training interventional cardiologists from Europe in the use of Laser Atherectomy and was also the lead interventionalist in rotablation at St Vincent's University Hospital. Dr. Wissam's areas of interest include complex coronary intervention, clinical and non-invasive cardiology, Echocardiography and TEE and pressure wire assessment for intermediate coronary lesions and intracoronary imaging. Dr. Wissam is fluent in Arabic and English.